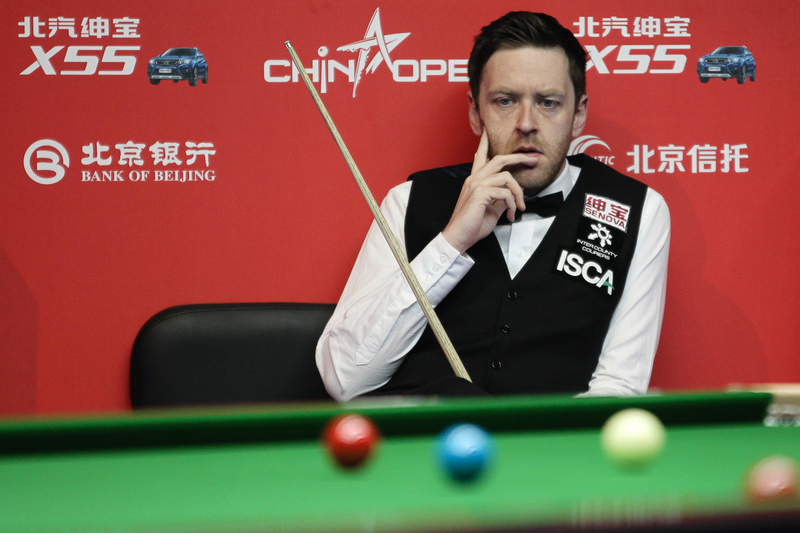 Stuart Bingham and Ricky Walden will clash in the quarter-finals of the BAIC Motor China Open having won their last-16 matches on Thursday. Walden enjoyed a return to form at last week’s Players Championship, reaching the final, and he has kept his momentum going in Beijing. Today he edged out China’s Tian Pengfei 5-4. Breaks of 56, 135, 84 and 59 helped Walden build a 4-2 lead. Tian recovered to 4-4 with 87 and 64 and he led 41-0 in the decider. But Walden clawed his way back into the frame and eventually won it with a 31 clearance. “It was a tense game in the end,” said world number ten Walden. “I was in control early on but then I got sloppy and let him back in. Tian had two good chances in the decider and I thought my tournament was over. In the end I stuck in there and got another chance. My will to win was strong. Bingham is chasing his first title since becoming World Champion last May, though he came within a frame of winning the recent World Grand Prix, losing 10-9 to Shaun Murphy in the final. The world number two looked in good shape in a 5-2 win over Rod Lawler. 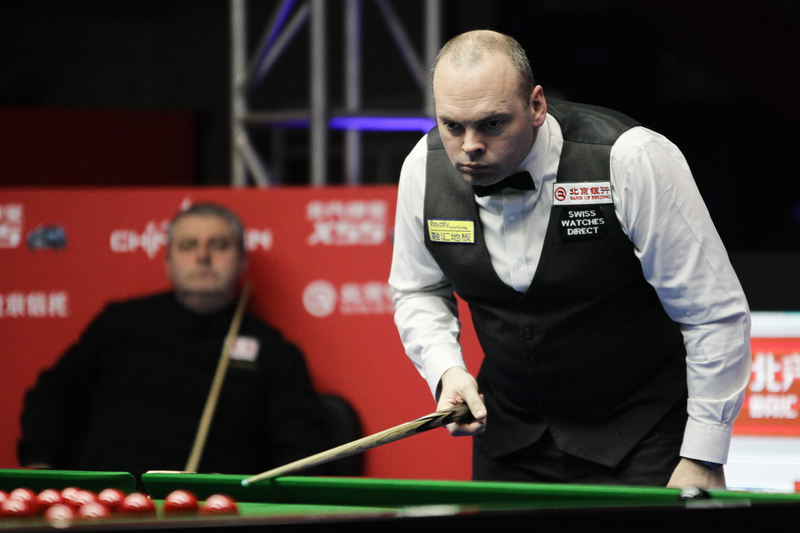 Bingham won the first two frames with a top break of 75 then Lawler took the third. In frame four, Bingham potted six reds with blacks before breaking down on 49, and his opponent cleared with 71 to make it 2-2. But Bingham dominated after the interval, winning the last three frames with top runs of 77 and 58. Alfie Burden reached the quarter-finals of a full ranking event for the first time in his career with a 5-1 defeat of Rory McLeod. After sharing the first two frames, Burden won four in a row with top breaks of 50, 52 and 80. He now meets Stephen Maguire or Dominic Dale. Mark King reached the quarter-finals of a full ranking event for the first time since the 2014 China Open by white-washing Martin O’Donnell 5-0 with a top run of 54. King’s next opponent will be Judd Trump or Marco Fu.